IFPA approved. Tournament is open to the public with paid admission. The tournament will feature a main tournament with an A division, B division and Casual division. There will also be Women’s and Junior’s knock-out tournaments. The Junior’s tournament begins at 5 PM on Saturday, with free entry and a trophy for the winner. Match play sessions involve 5 single-game rounds of match play. Sessions are scheduled for 3 hour time slots, and each player may choose to sign up for whatever session(s) works with his or her schedule. Game scoring in 4 player groups will be done with 7 points awarded to first place, 5 points to second place, 3 points to third place, and 1 point to fourth place. 3 player groups will score with 7 points to first, 4 points to second, and 1 point for third. The first round will use IFPA rank for pairings, and the following rounds will use swiss-pairing based on point totals. Each player’s combined total pointage for all 5 games is the player’s final score for that session. A session must have a minimum of 8 players to fire. A division players (ranked 500 or better) cost $50 for a starter package of 2 sessions, and $30 for any additional sessions played beyond that. Tournament registration entry will be handled at the tournament desk. Players are encouraged to pre-register for qualifying sessions. Players will register at the tournament desk for whatever session(s) they choose. Players may register for a session at any time the tournament desk is open. Pre-registration is encouraged, but not required, however registration for a session will cut off 10 minutes before it begins. Lists of registered players will not be available until their respective rounds begin. A division rankings will be determined by the total pointage of a player’s best two sessions combined together. B and Casual division rankings will be determined by eligible player’s best session. Any additional sessions that aren’t being used in a player’s ranking will be used for tie-breaking purposes. B and Casual division tickets do not restrict upward movement, so, for example, a player who’s B eligible can still qualify for A division if his or her scores are high enough. Top 24 players qualify for main division playoffs, with the top 8 qualifiers getting a bye through the first round. Top 16 B eligible players who did not qualify A division will instead qualify for B division. Top 8 Casual eligible players who did not qualify in A nor B division will instead qualify for Casual division. If for some reason a qualifying session runs past its allocated time slot and beyond the start time of another session, the next session will be delayed until the first one finishes. *If a round ends early or due to low participation another round can be added to fill a time slot if applicable. *TD Approval Only. If the tied players also tie in their additional sessions, then whichever player had the single highest scoring session will win the tiebreaker. In the extremely rare case that both players have the exact same scores across all qualifying attempts, the tie will be broken by a coin flip. Round 1 of A and B Division finals begins at 7 PM on Saturday. Round 2 of A and B Division finals begins at 10 AM on Sunday. Casual finals begin at 8 PM on Saturday. Casual finals will be played as a knock-out tournament on the show floor with a trophy for the winner. Tournament suitable games will be pre-selected. A and B Finals are played in 4-player “PAPA Style groups”. The top two players from each group will advance to the next round. If there is a tie in point totals for the top two players in a group, the tied players will play off on a randomly selected game that they have not yet played that round. Play order selection will be based on seeding. The group that contains the highest-seeded player gets first choice of machine and order of play. The highest-seeded player within each group may choose either the machine to be played, or the order of play. If the highest-seeded player chooses the machine to be played, then the next highest-seeded player chooses the order of play, with the remaining players choosing order of play in decreasing order of seeding. If the highest-seeded player chooses order of play, the remaining players may choose their order, in descending order of seeding, and choice of machine then goes to the next highest-seeded player in the group. Once a player verbally announces their game choice, or chooses position, that decision cannot be changed. 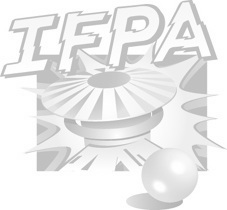 IFPA standings for people who were eliminated in the same round as each other will be determined by the points players earned in the round they were eliminated in. Ties in pointage will be broken by qualifying ranks. There will be a best of 3 match to determine 3rd and 4th place. The 3rd and 4th place match can not wait on a game that the finals match is playing. 20% of the main tournament’s prize pool will be delegated to the B division. Any game that's in the tournament lineup can not be removed at any point during the qualifying period unless it's due to a game malfunction which can not be repaired within the constraints of the tournament. If a game must be removed on the finals day, the time it will be removed at must be communicated to the tournament directors before the tournament begins, so it can be factored in to the game's selection for tournament use. All or Any Rules, Procedures, Regulations can be changed before Tournament Start Time on Thursday Mar. 22nd 7PM.